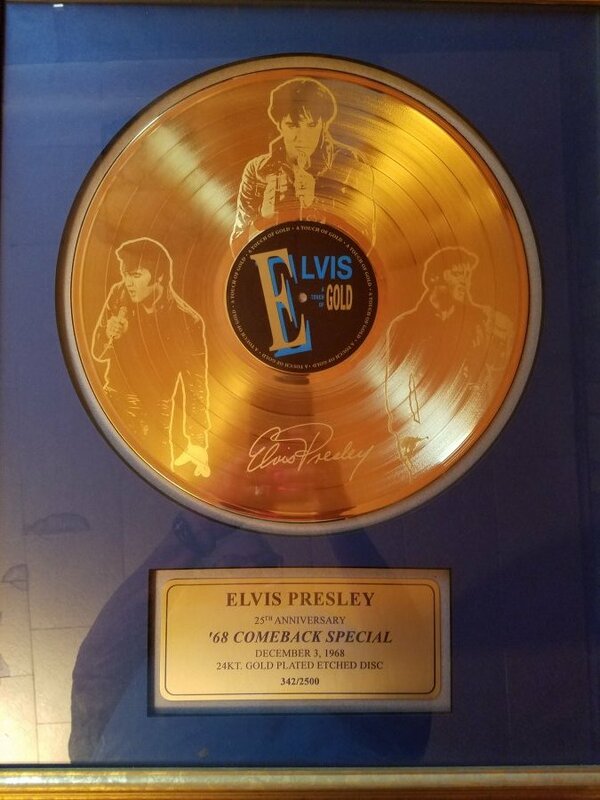 What's 'Elvis Presley 25 anniversary '68 comeback special gold record in frame' Worth? I'm looking to find out what 'Elvis Presley 25 anniversary '68 comeback special gold record in frame' is worth. Anyones knowledge here would be greatly appreciated. It says there were 2500 made and this one is 342.